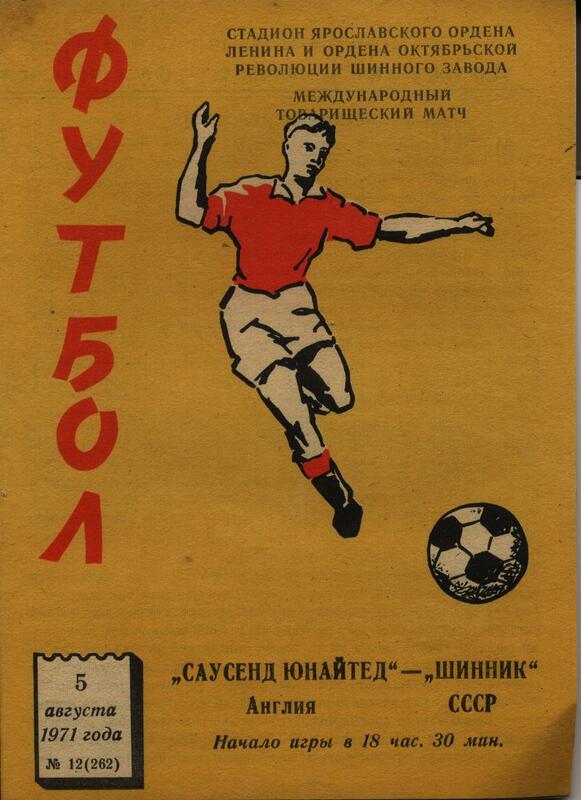 A look at ten Southend United friendly programmes for no other reason except they are a bit unusual. 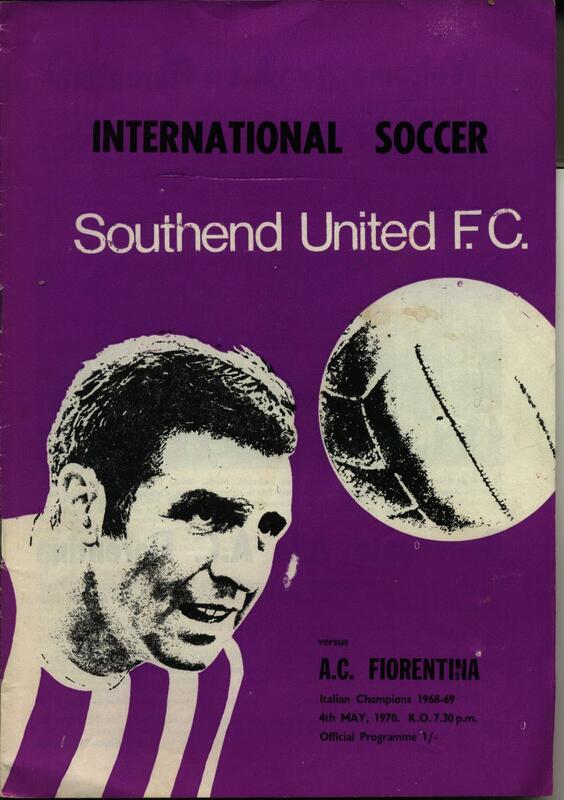 The Blues welcomed the reigning Italian champions to Roots Hall at the end of the 1969/70 season. A healthy crowd of 8,679 saw Giorgio Mariani score the only goal of the game to give the visitors a victory. Team: Brian Lloyd; Keith Lindsey; Owen Simpson; Phil Chisnall; Dave Barnett; Micky Beesley; Peter Hunt (sub Peter Taylor); Billy Best; Bill Garner; Gary Moore and Dave Chambers (sub Pack). 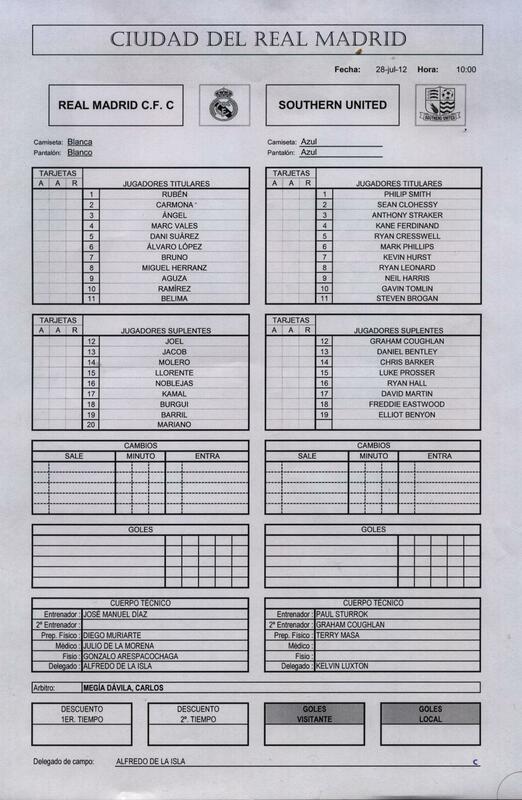 Three months later the Blues welcomed Hearts of Oak to Roots Hall. 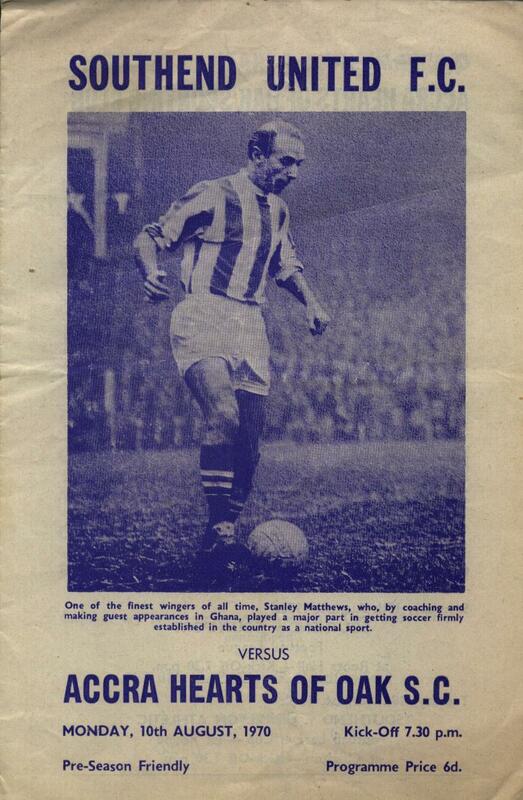 The programme features Stanley Matthews on the cover as he had been coaching in the West African country. A crowd of 3,193 watch Blues run riot in the second half with goals from Phil Chisnall (2), Billy Best, Bill Garner and Peter Hunt. Team: Brian Lloyd (sub Steel); Keith Lindsey; Owen Simpson; Phil Chisnall; Alex Smith; Kevin Fallon (sub Dave Barnett); Ian Cowan; Billy Best; Bill Garner; Tony Bentley (sub Peter Hunt) and Dave Chambers. 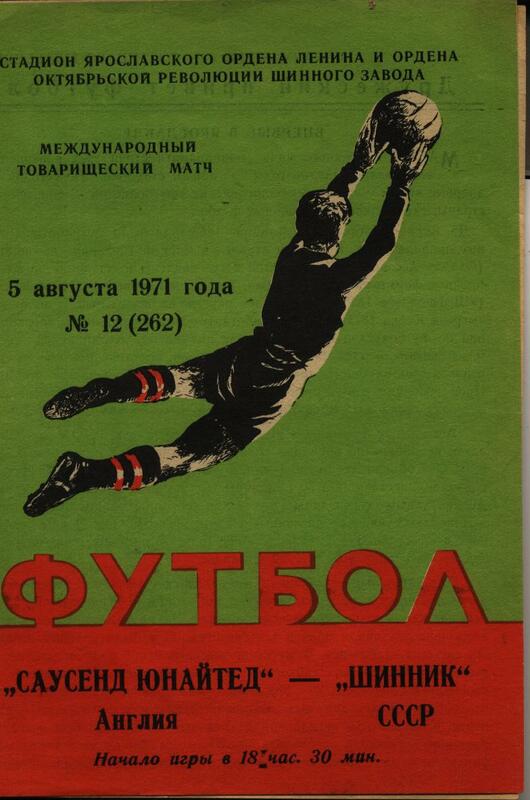 A bit of an oddity this one as the last game of the Blues tour to Russia produced two programmes, both 4 page issues but with different covers. A decent crowd of 12,000 watched this match. Team: John Roberts; Keith Lindsey; Alex Smith; Dave Elliott; Brian Albeson; Joe Jacques; Terry Johnson (sub Peter Taylor); Billy Best; Bill Garner; George Duck and Ray Ternent. 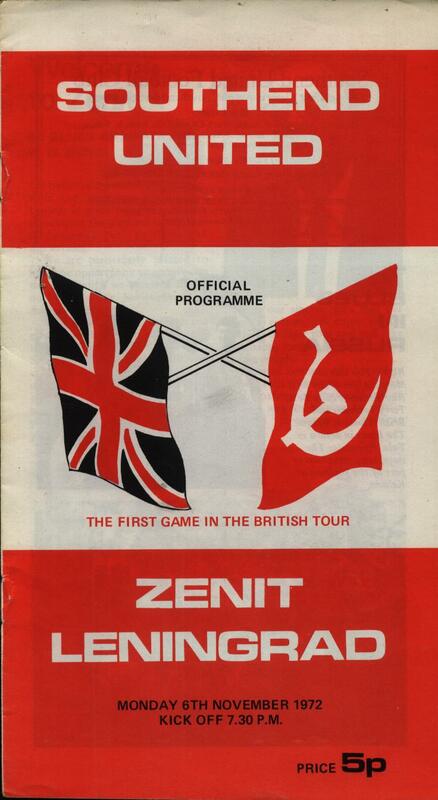 Blues’ tour to Russia the previous year had been so successful a promised visit from a top Russian side occured when Zenit Leningrad came to Roots Hall. A crowd of 3,988 saw a tight encounter with Bobby Bennett netting for the Shrimpers. Luton Town’s Robin Wainwright guested for Southend. Team: Derek Bellotti; Dennis Booth; Ray Ternent; Dave Elliott; Brian Albeson; Mike Harrison; Terry Johnson; Billy Best; Bobby Bennett; Robin Wainwright and Peter Taylor (sub Gary Moore). 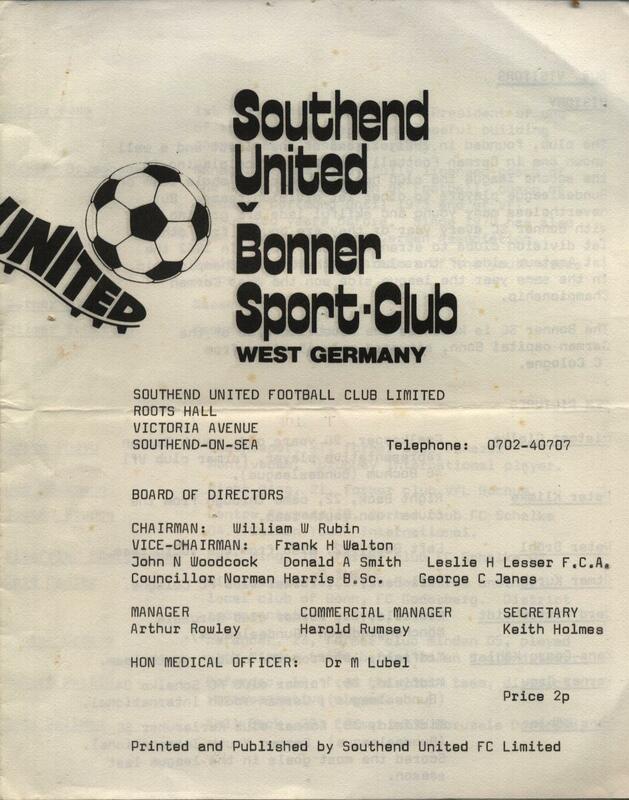 Southend welcomed West German side Bonner to Roots Hall in the build up to the 1974/75 campaign. The visitors were a modest club and only 1,686 watched the Blues rattle in seven goals without reply. Finding the net for Southend were Chris Guthrie (2), Dave Cunningham, Steve Lamb, Terry Johnson, Neil Townsend and a Dave Elliott penalty. Team: Malcolm Webster; Steve Dyer; Dave Worthington; Dave Elliott; Neil Townsend; Alan Moody; Stuart Brace (sub Steve Lamb); Andy Ford (sub Terry Johnson); Chris Guthrie; Dave Cunningham and Alistair Love (sub Willie Coulson). 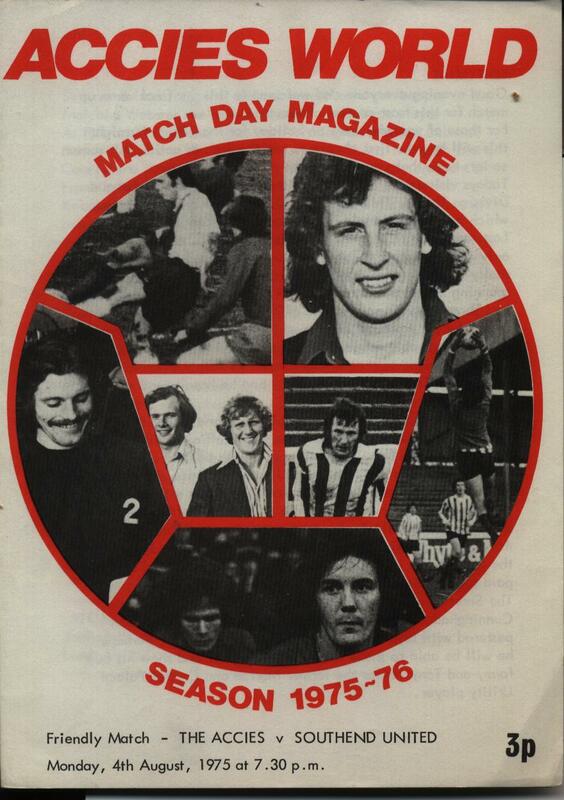 Tours to Scotland in the mid Seventies were very popular and Southend were no exception, this pre-season jaunt also taking in games at Forfar Athletic, East Stirlingshire and Raith Rovers. A crowd of 650 saw a Stuart Parker goal separate the sides at the old Douglas Park ground. Team: Malcolm Webster; Dave Worthington; Tony Taylor; Terry Nicholl; Neil Townsend; Alan Moody; Ronnie Pountney; Stuart Brace; Stuart Parker; Willie Coulson and Dave Cunningham (sub Andy Ford). Visitors from the Far East for this unusual pre-season game. 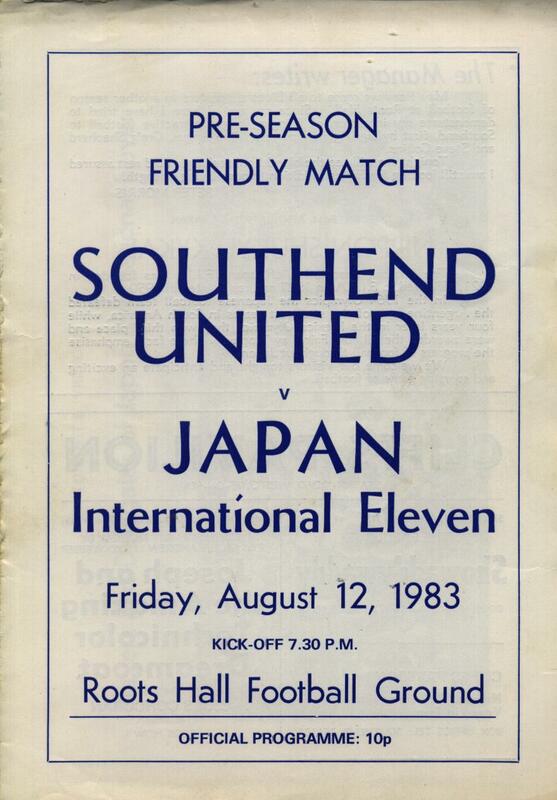 Southend battled well against Japan but went down 1-0 to a 51st minute goal from Masafumi Yokoyama. Team: Mervyn Cawston; Micky Stead; Steve Collins; Paul Clark; Steve Yates; Ronnie Pountney; Glen Skivington; Glenn Pennyfather; Greig Shepherd; Steve Phillips and Roy McDonough. Subs: Warren May; John Keeley; Mick Angus; Danny Greaves and Adrian Owers. Southend had a short tour of Scotland in the pre-season on 1988/89 which also took in a return visit to Hamilton Academicals. The first match was against junior side Pollok who played, and still do, at the excellent Newlandsfield Park in Glasgow. A respectable crowd of 1,200 watched a tight encounter with Southend’s goals coming from David Crown and a brace from Dave Matthews. Team: Paul Sansome (sub Eric Steele); Danny O’Shea; Peter Johnson (sub Justin Edinburgh); Russell Short; Dave Martin; Paul Brush (sub Paul Clark); Derek Hall (sub Nicky Thurston); Peter Butler; David Crown (sub Dave Matthews); Richard Young and Martin Robinson. 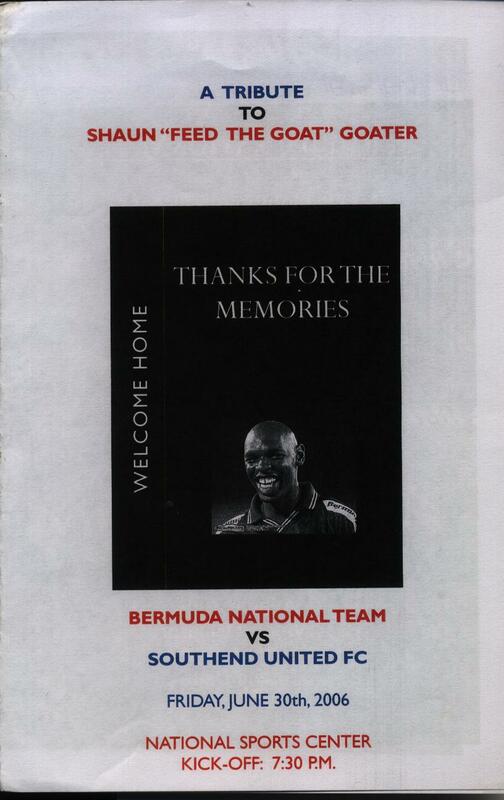 Billed as a welcome home match for Shaun Goater, Southend played the national team of his home county at their National Sports Park. Goater played a half for either side, scoring twice for the Blues along with youngster James Lawson. Team: Daryl Flahavan; Simon Francis; Che Wilson; Spencer Prior; Adam Barrett; Jamal Campbell-Ryce; Mitchell Cole; Kevin Maher; James Lawson (sub.Shaun Goater); Freddy Eastwood and Franck Moussa. Played at the Spanish giants Valdedebas training facility Southend took on Real’s third team who compete in the third tier, Segunda B, of the Spanish League. Neil Harris gave the Blues a third minute lead but the hosts eased to a 3-1 win with goals from Ramirez, Mariano (penalty) and Burgui. Team: Phil Smith; Sean Clohessy (sub Dave Martin); Anthony Straker (sub Luke Prosser); Kane Ferdinand; Ryan Cresswell (sub Graham Coughlan); Mark Phillips (sub Chris Barker); Kevan Hurst (sub Elliot Benyon); Ryan Leonard; Neil Harris; Gavin Tomlin (sub Freddy Eastwood) and Stephen Brogan (sub Ryan Hall). Sub not used: Daniel Bentley. 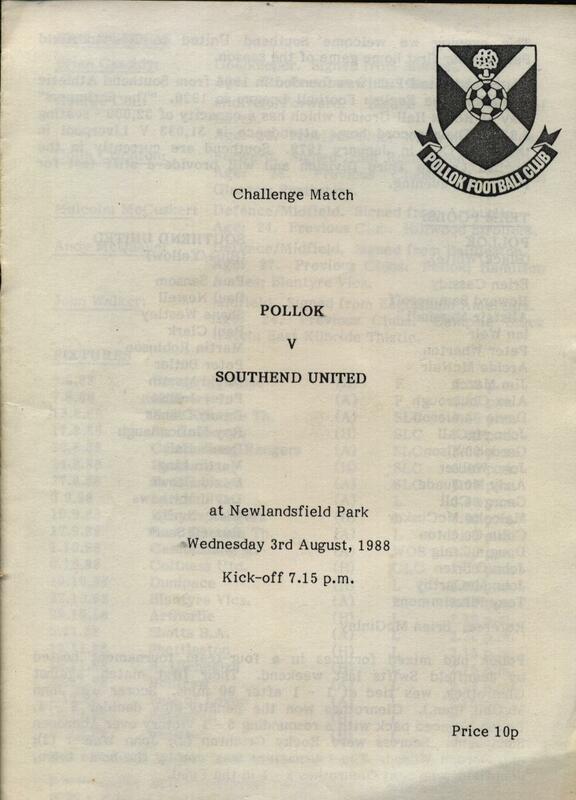 This entry was posted in Southend United and tagged friendlies, friendly, programmes, shrimpers, Southend, SouthendUnited, sufc by peterrmiles. Bookmark the permalink.